In these images you will find smiles that are sometimes too big they make eyes crinkle, laughs that make you throw your head back, tender moments with family, and joy. As for a little bit more about us, my husband, Andrew, and I are both Charlotte natives and love Southern hospitality and the Carolinas. 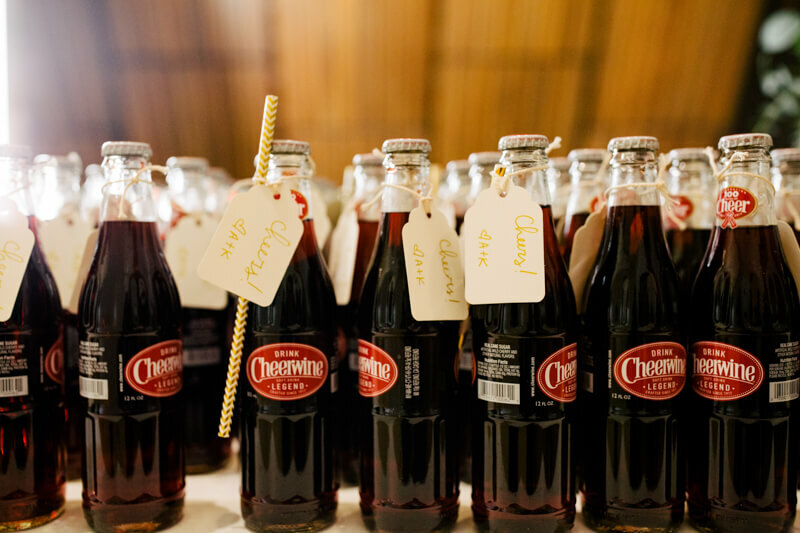 We incorporated both into our wedding day (banana pudding, shrimp and grits, Cheerwine, Krispy Kreme and a picture with our college flags), and had a cherished celebration with family and friends. After a blind date in Charlotte 4 years ago, while he was at NC State and I was at USC, we dated long distance for 3 years, got engaged and then were married on December 30, 2017. Our wedding was at the Belk Chapel at Queens University in Charlotte, NC, almost 29 years after my parents were married there in December of 1988. We then had our 'classic winter elegance' reception at the Mint Museum Uptown with lots of dreamy greenery, candles and blush and gold accents. The most special thing, however, were the moments and details shared with family and unique to us. Tears were shed when my 94-year-old grandma who passed away in February, arrived last minute, as well as during shag dances, thriller dances with old coaches, heirloom veils, and lots of Krispy Kreme - because everyone needs their own KK - my former initials.